Long calls offer the buyer the opportunity to profit if the price of the Underlying asset or commodity rises because the option contract permits them to be exercised at a cheaper price. Long calls are generally used either as a form of insurance or hedging to protect against the price of the Underlying rising, alternatively they can be purchased for speculative reasons. 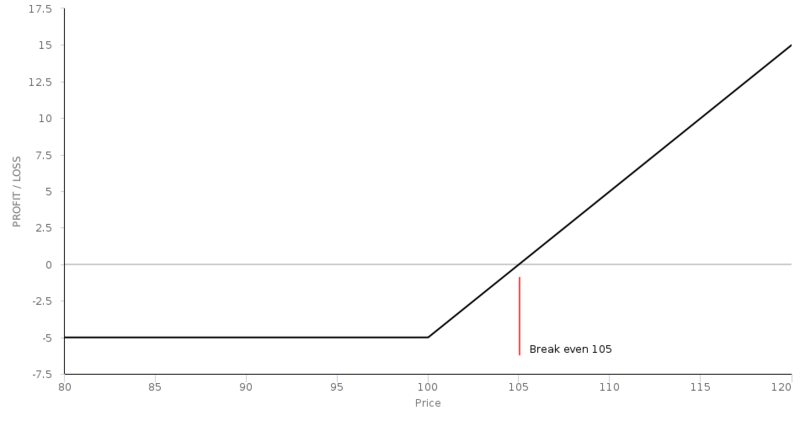 The Delta of a Long call provides a form of leverage because the price of the option may be less than the Underlying asset (considerably so in the case of Out Of The Money calls) but the price will fluctuate partly based on its value. Long calls are not necessarily an ideal instrument for speculation because of the Theta decay features of all Options. Theta has the effect of reducing the value of an Out Of The Money option.